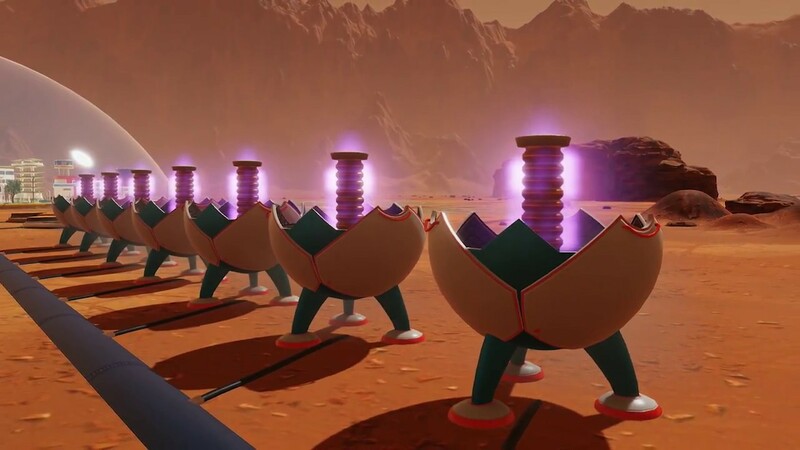 In Surviving Mars, players will lead a colonisation effort on the surface of Mars, from the very first rovers and supply drops to the construction of suitable habitats for brave settlers from Earth. Every colonist will be vital to the mission as the colony struggles to gain a foothold where the environment is hostile and resources are scarce. With each success, however, players will gain the ability to expand further, and even establish a thriving society – and lead a new generation that has never known the Earth. • Be resourceful – It’s going to take a lot of materials to build your new colony — and a call home for a resupply won’t exactly come with next-day shipping! To survive and thrive on Mars, you’ll need to know what local resources you have to rely on. • If you lived here, you’d be dome by now – Before your human colonists arrive, they’ll need a place to hang their helmets. Construct, customise, and control habitat domes, and give your residents a place to work and play. Oh, and a place to breathe, too; that’s important. • Are you ready to take the next leap forward? – Mars isn’t going to colonise itself, and we need your guidance if we’re going to survive the process.